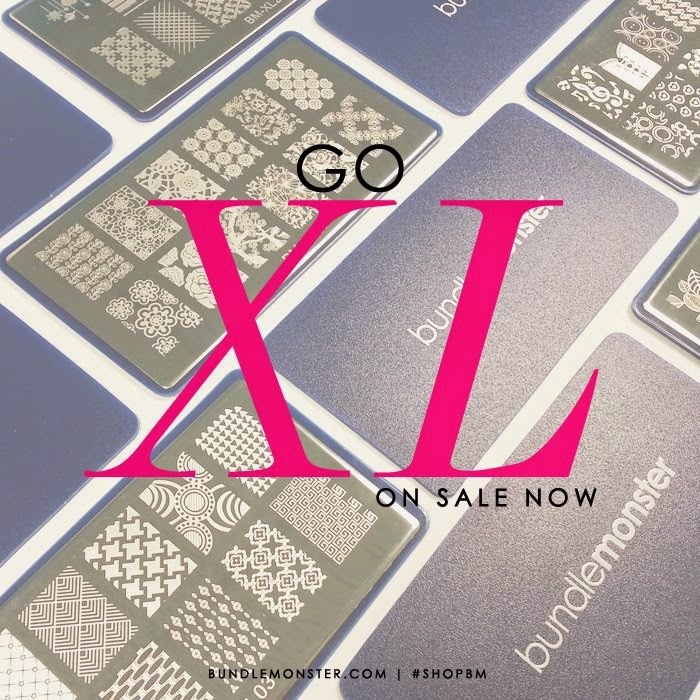 Lacquer Lockdown: Hot Off The Stamping Press: Bundle Monster XL Nail Art Stamping Plates! Hot Off The Stamping Press: Bundle Monster XL Nail Art Stamping Plates! Today I just wanted to share a quick post with you about the newest plates released by Bundle Monster today. If you follow Bundle Monster regularly you know that they just released the Secret Garden Collection about 2 weeks ago then last week announced they would be releasing the another set of rectangular plates with XL sized imaging for us longer nailed ladies. For those that were expecting new designs thats not the case, but rather Bundle Monster is taking their most popular images from prior collections and resizing them for these plates. Frankly as someone who has always enjoyed the BM plates but felt that the images have been a bit on the smaller size of things this is a welcome change.